Traffic near South Bay merging onto I-93 South. 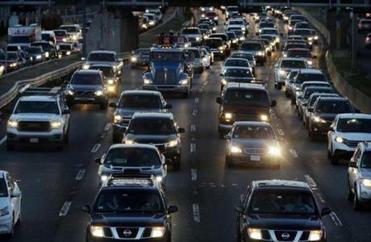 Yes, your car commute probably stinks. Here’s why: In January 2010, the jobless rate in the Boston region stood at 8.6 percent; in January 2018, it was 3.5 percent. Nearly 300,000 more people are working. This, by the way, is cause for celebration. Growth is fundamentally good for Massachusetts. The more of it, the better. The problem is that we didn’t upgrade our transportation network for all those people, because being a hotbed of growth is just not a part of Boston’s self-image. Because we treat growth as something that happens only in Arizona or Florida, people suffer the lengthening commutes, delayed buses, and late day-care pickups that the Globe’s Beth Teitell documented in a hugely popular article earlier this week. Unless you walk or bike to work, your commute will keep getting worse — until Greater Boston, as a region, starts viewing itself as a place that people move to, not as somewhere that people inevitably leave. Most of today’s political and business leaders in Massachusetts came of age when Boston proper was hemorrhaging residents, or barely holding onto them. Yet growth has picked up since 2000. According to new estimates released last week by the US Census Bureau, the four Massachusetts counties that contain most of the metro area — Suffolk, Middlesex, Norfolk, and Essex — have added nearly 250,000 residents. It’s as if another Cambridge, another Somerville, and another Brookline had just sprouted in our midst. 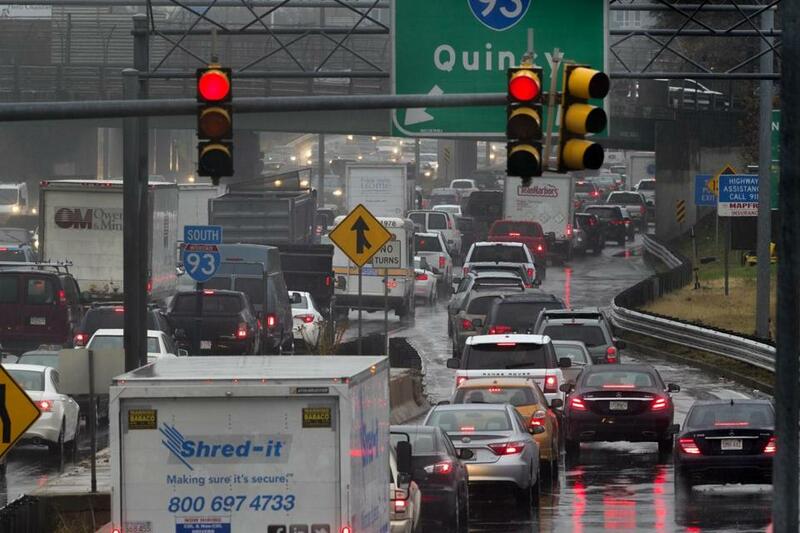 The basic challenge facing this urban region — and Governor Charlie Baker and Boston Mayor Marty Walsh in particular — is how to move more people faster through the same jam-packed corridors. Even in a city that has long known traffic headaches, congestion has extended commutes to lengths that approach a breaking point. Fortunately, there’s a lot of brainpower working on this very problem. The LivableStreets Alliance recently chronicled how ridership on some of the MBTA’s highest-volume bus lines has declined, as worsening traffic has slowed them to a crawl. Thousands more people could travel the same roads if the city created more bus-only routes, but Walsh has been shy about taking away parking spaces and vehicular lanes. Meanwhile, Transportation for Massachusetts has proposed smart tolling that would steer more highway traffic to off hours. TransitMatters is pushing an ambitious (and wicked expensive) transformation of the commuter rail system into an electrified regional rail system with faster, more frequent service. So far, Baker has taken a Mr. Fix-It approach, which works up to a point. The MBTA really did need more transparent management; it needed to get its cost structure under control; it needed to shrink the price tag of the Green Line extension and buy a slew of new Red Line cars. This approach is a perfectly rational answer to the “reform before revenue” transportation debate that preoccupied the Legislature in 2009. But for the 250,000 new residents who’ve come to the Boston area since then, or the 300,000 more people who’ve found work, it’s not enough. Communities behave differently when they take growth as a given. In places like Seattle and Los Angeles, local officials have gotten together with business leaders and civic groups, drawn up plans for transit improvements, and appealed directly to voters — who then expect timely results. In Massachusetts, lawmakers are still nursing a hangover from the Big Dig, which persuaded too many voters that public investment is inherently wasteful. It’s tempting to hold out for hail-Mary solutions, like a Seaport gondola whose (initial) costs would (maybe) be covered by a private developer. Yet as a swelling workforce waits in grinding traffic or on overcrowded Red Line platforms, Greater Boston has to stop treating stately decline as its inevitable fate. Better to embrace our own growth — and plan accordingly.